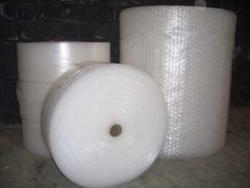 Bubble wrap is one of the most useful polyethylene packaging products ever invented. Bubble packs are commonly used in selling and shipping businesses especially in dealing with sensitive and fragile items. These are not just plastic sheets used to wrap around or cover objects, they effectively secure the product from any damages caused by excessive and extreme movement during shipping. Bubble packs in Providence, RI are manufactured with protruding air-filled bubbles to safely pack delicate items. The main purpose of the bubbles is to safeguard and hold the item in place. It perfectly cushions fragile objects from bouncing, wraps items and secures them to get the most protection possible. They come in various sizes, depending on the size of the item being packed, as well as the level of cushioning protection that is required. Bubble pack also helps reduce shipping costs because they minimize product returns and replacements due to damage during shipment. As a result, it can garner positive feedback from customers and it can develop overall customer service. To find out more about bubble packs and wrap, contact Atlantic Poly.